Vamos a hacer unos ejercicios para practicar lo que hemos aprendido sobre conectores en inglés en la primera parte de la unidad. Si te has perdido esta primera parte, la puedes encontrar en este enlace. Bueno, pues sin más preámbulos vamos a hacer los ejercicios. Rellena los huecos de las siguientes frases con el conector más adecuado (SO, BECAUSE, BUT y ALTHOUGH). I was very tired ___________ I went to bed. ___________ he wasn’t very hungry, he ate a big hamburger. I love that film ___________ it’s very good. The interview was very difficult ___________ he got the job. ___________ she likes football, she prefers hockey. His first book is very good ___________ his second one is even better. We went to the supermarket ___________ there was no food at home. They didn’t like the programme ___________ they turned off the tv. Ordena las palabras para crear frases correctas. I was very tired so I went to bed. Although he wasn’t very hungry, he ate a big hamburger. I love that film because it’s very good. The interview was very difficult but he got the job. Although she likes football, she prefers hockey. His first book is very good but his second one is even better. We went to the supermarket because there was no food at home. They didn’t like the programme so they turned off the tv. I bought it because it’s very good. My friends didn’t want the book so they gave it to me. Although he is old, he runs very fast. The tomatoes were bad so I didn’t eat them. He is my neighbour so I see him very often. Although the weather was bad, we went out for a walk. She is very clever but she doesn’t work hard. They invited us to the party but we couldn’t go. 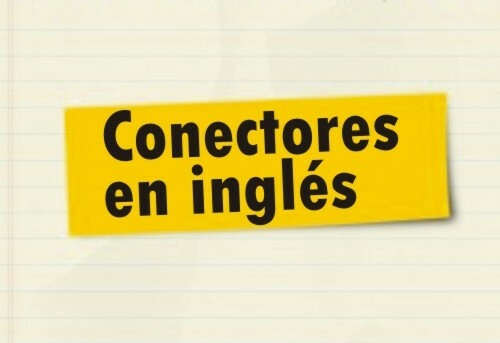 Espero que te hayan resultado útiles estos ejercicios sobre conectores en inglés. Si tienes cualquier duda o comentario, escríbelo en el recuadro de comentarios debajo de este post.